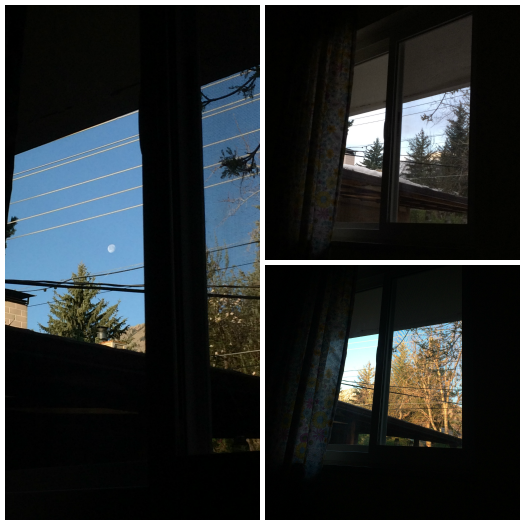 By chance a few months ago, we fell asleep with the curtains open to the west facing window in our bedroom. Since it was winter, the light just seemed to naturally drape itself into our space, waking me in the most pleasant way. A few days turned into a few weeks and now it's been months since we've closed the curtains. My daily alarm is sunlight, even with the earlier sunrise times, I've stayed true to how it makes me feel. Some mornings there's a pink sunrise reflecting off the mountains, some mornings it's grey and overcast, some mornings there is a full moon just hanging about to dip behind the Rockies, some mornings there is snow falling from the sky even though the calendar says May. But it's every morning I feel grateful I have a little slice of nature gracing me before I begin my day.